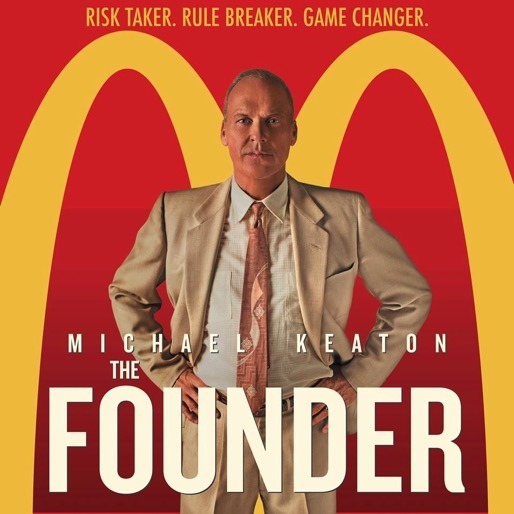 Both Megan and I watched The Founder over the weekend, a movie based on the true story of how the McDonalds empire got its start in the 1950’s. Michael Keaton's performance was awesome (albeit his character was a real a-hole) and we give the flick 5 stars! The movie’s entrepreneurial storyline and spirit, however, is what really gave us the feels. The opening scene tells it all. A struggling businessman peddling his milkshake mixers from drive-in restaurant to drive-in restaurant. With lots of“no’s” and slammed doors, he carries on in hopes of making a sale and knowing that he will soon get his big break. Downside of the movie? The craving you’ll have for a cheeseburger and fries upon the closing credits is REALLLLLL.